For the first time in Kuwait, experience the traditional taste of American BBQ. Kuwait, 16 October 2016: Jumeirah Messilah Beach Hotel & Spa, Kuwait’s idyllic resort, has ushered in the cooler evenings with the launch of its Southern American Barbeque nights every Wednesday. The special themed-night, which is the first of its kind in Kuwait, offers an unforgettable taste of classic American grills popular in the Southern states from North Carolina all the way to Texas. Set in a unique outdoor experience by the pool and beach area, the Southern theme is reflected in the ambiance and the scents of hickory-smoked meats, featuring an array of sumptuous premium slow-cooked beef brisket, baby back ribs smoked over Logwood, wings, salads and live cooking stations featuring burgers and chili dogs. In addition, the buffet also offers delicious barbeque accompaniments such as Southern-style coleslaw, Cajun jambalaya and creamy corn hush puppies. Those with a sweet craving will enjoy a selection of desserts, ranging from Mississippi Mud cake, caramelized bananas to pecan pie and peach cobbler. To complete the evening, guests can relax by the beach around the resort’s tranquil surroundings with live country music. 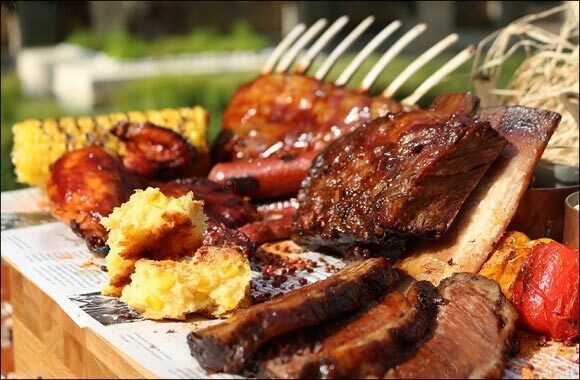 The Southern American Barbeque nights will take place every Wednesday from 7pm to 11:30pm.